Today was K's preschool Valentines party. 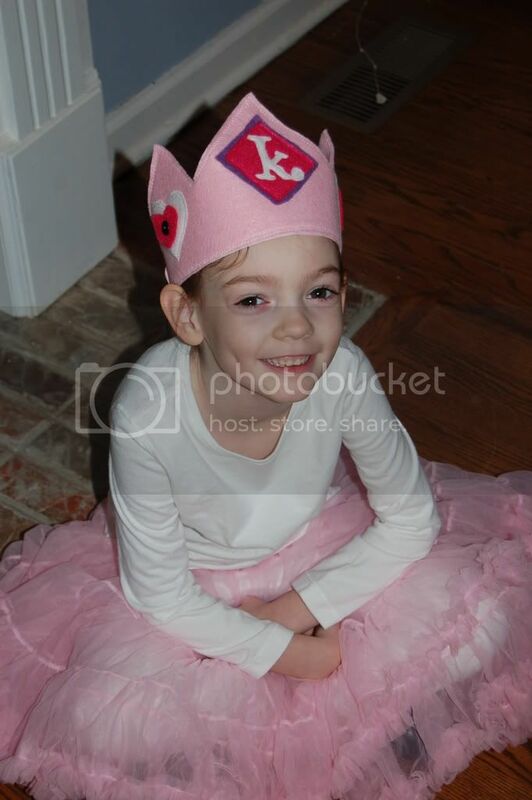 It was a princess/knight theme. I was SO happy that K decided to participate. She NEVER does the dress up thing outside of the home even though there are plenty for preschool. 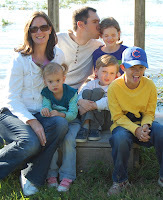 Last summer she was diagnosed with social anxiety and selective mutism. Part of that is she is very sensitive to what she wears/hair. 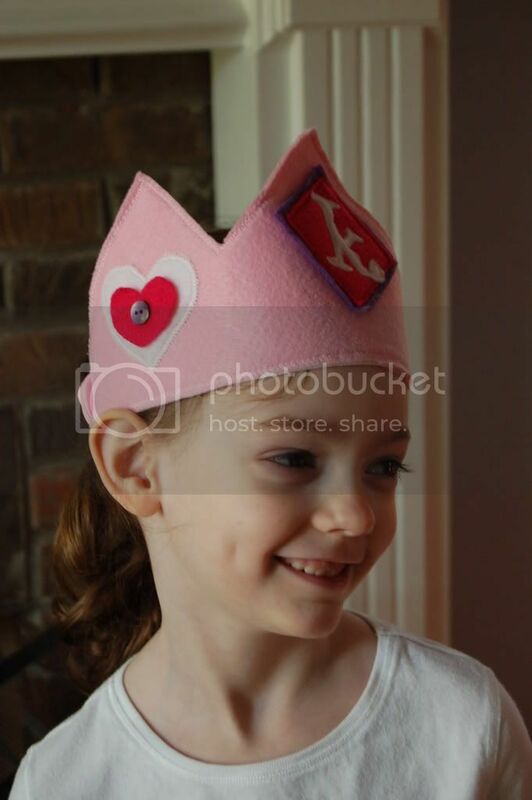 In an effort to gently push her to participate (and not actually be the different one) I asked her if I made her this felt crown, would she wear it, even with regular clothes. She said yes, she liked the idea. So I stayed up last night late making her this heart crown to wear to her party. I was still skeptical. 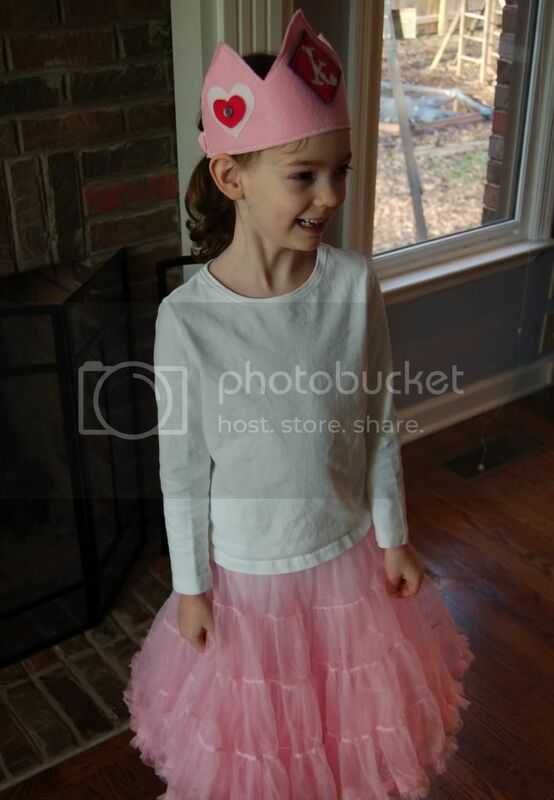 I even talked her into wearing her pettiskirt over some leggings to be princess like. She actually agreed, but I still was not going to get my heart set on having a pretty little princess to take to school this morning. I laid it all out for her last night in the playroom. And sure enough when I got up she had it all on. No fussiness or self conscienceness at all! She wore it all at school all morning, crown and everything. Even the only one with a crown! She was happy and giddy! You guys with naturally outgoing children just don't know how you can take that for granted. To see her happy and participating and being a 'regular' little girl was so heart warming. Many times she's just a 'watcher'. Too afraid to join in. She looks so pretty and happy! What a wonderful day for her!Great job on the crown. That crown is so cute, I've seen it on Juicy Bits too, it's a great idea. Love how yours came out and what a fun time for K.
Love how the crown turned out--I was happy that this was a pretty easy project and actually looks cute at the end (unlike some of my projects, lol). She looks beautiful and so happy!! I have worked with a child who was selectively mute, and I have social anxiety myself. It is great that she felt comfortable enough to participate, and I think you had a big part in it by not pushing her to do it, but by talking about it with her ahead of time. She looks like she had a great day.